Most people prefer to start at Torquay and work their way south. I prefer to stay inland until Peterborough. I've found that there is less traffic travelling inland (which saves time for the trip) and by travelling north on the Great Ocean Road towards Melbourne, you're less likely to get stuck behind the large tourist buses and extremely slow driving tourists. 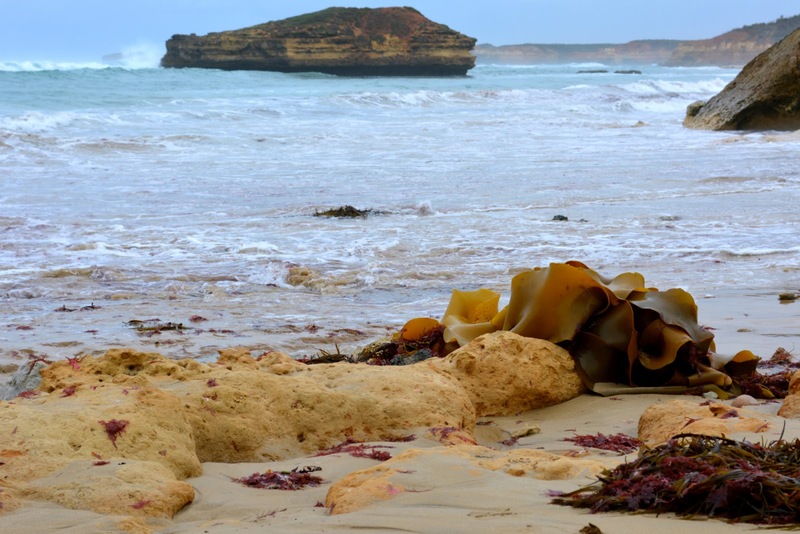 I often feel as though the Bay of Martyrs and the Bay of Island gets neglected unless people are driving all the way to Warrnambool. 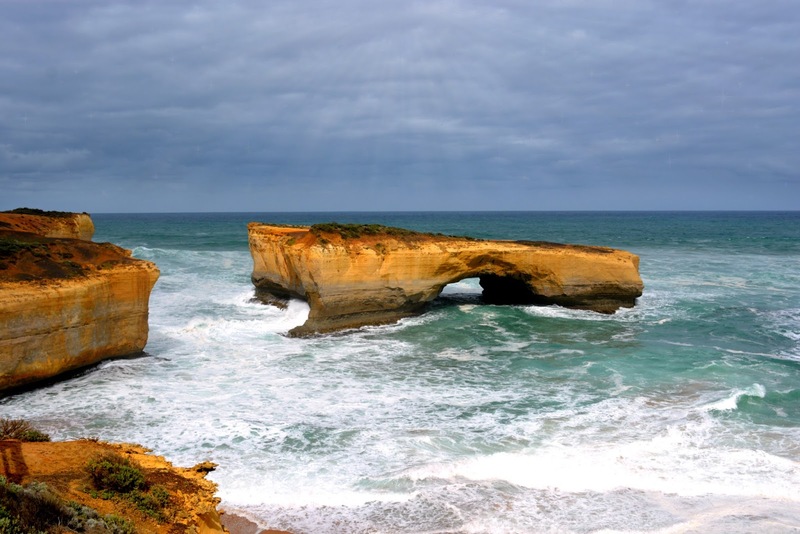 It seems that most people get pretty dang tired by the time they reach the 12 Apostles (which is why you should travel the Great Ocean Road in reverse!). Typically there are very few people here, so it's an excellent opportunity to really take in the beauty. Honestly, I feel the Bay of Martyrs and the Bay of Islands are just as, if not more, impressive as the 12 Apostles. None of the Island photos turned out well due to weather, but I loved this rock! Surprisingly, this was the first time I was fortunate enough to visit the Grotto. Let me tell you...I've now found my favourite place in Victoria (thus far). If you negate the annoying tourists who thought it was a brilliant idea to jump around and stand very close to an unstable cliff, one could easily spend the entire day here. While there is a barrier that is built there for protection, it is possible to climb on the rocks. Just be advised that this should be done with caution! The Grotto was caused by a sinkhole in the coastline which then led to this amazing cave. The walk down is relatively easy, but as there are steps down to the cave, it may be difficult for those with mobility issues. If you're planning to stay along the path, allow about 30 minutes for this location. Isn't this view just spectacular? London Bridge is falling down, falling down, falling down... Apparently, this is now known as London Arch but pretty sure everyone still calls it London Bridge (heck even the sign says London Bridge). Before 1990, the span that connected the shoreline to the outer span made it possible for people to walk out onto the top of the arch. After the collapse, this was no longer possible. Luckily no one was injured, but two people were stranded on the island for a few hours. Now three different viewing platforms give you three spectacular views! Even on a cloudy day...just gorgeous! Again this was another place I had yet to visit until my most recent trip. I'm not sure why but like always, the Great Ocean Road didn't disappoint. Everything is so breathtaking! It is truly amazing what mother nature is capable of! This is another spot that if you're not looking for it, you'll drive right past. As not a lot of tourists tend to spot here, it's another peaceful stop on this wonderful road trip. This stop is right before (or after depending on which way you're travelling) the 12 Apostles. Unlike some of the previous stops, there normally are quite a bit of people here. Mainly because there is a gorgeous beach you can walk down and be engulfed by the large cliff sides. There are a few walking trails here as well. If you're planning on just spending the day, you probably won't have time to go on these hikes. However, if you're taking your time, be sure to check out the Thundercave and the other sites along the hikes. It is believed that over 700 ships have been shipwrecked here. From the top of Loch Ard Gorge, there is a "viewing area" of some of the shipwrecks. Unless you're diving, you won't be able to see them so don't let the tourists saying they can see the wreck fool you. Seriously just gets better and better! You would think I would be sick of seeing this place..but seriously how could I? If you'd like to read about these two excellent places in more detail, check out: Great Ocean Road Adventures: Bay of Islands, 12 Apostles, & Cape Otway Lighthouse. I'm going to let you in on a little secret. I've only stopped at the lighthouse once. 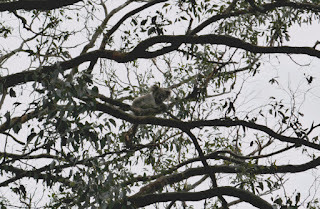 The only reason I even drive down the road is that I've always seen koalas. 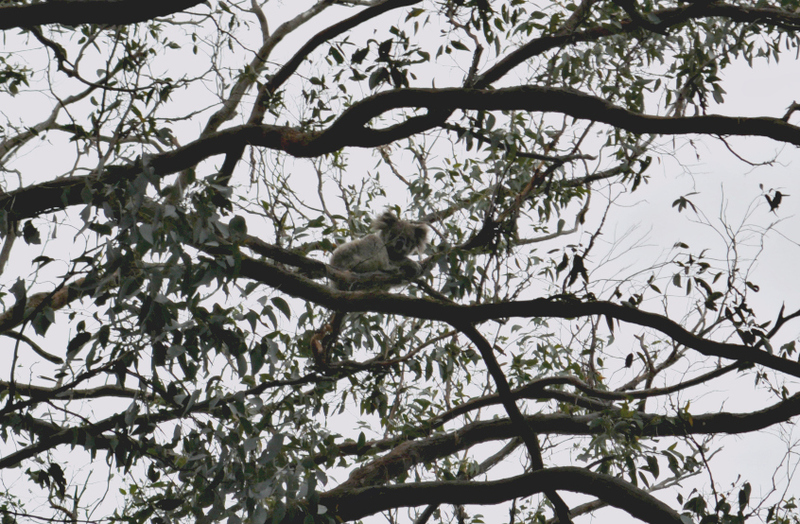 If you're visiting Australia or simply showing a few mates around, take the 5-minute detour, keep your eyes in the trees, and you're almost guaranteed to see some adorable, cuddly koalas in the wild! This is a quick little stop in between Apollo Bay and Lorne. There's literally no sign so the only indication that anything is there are the cars parked along the roadside. Be on the lookout as there are often a lot of cars and tiny car parks. As it's situated near a sharp curve in the road, please be careful! 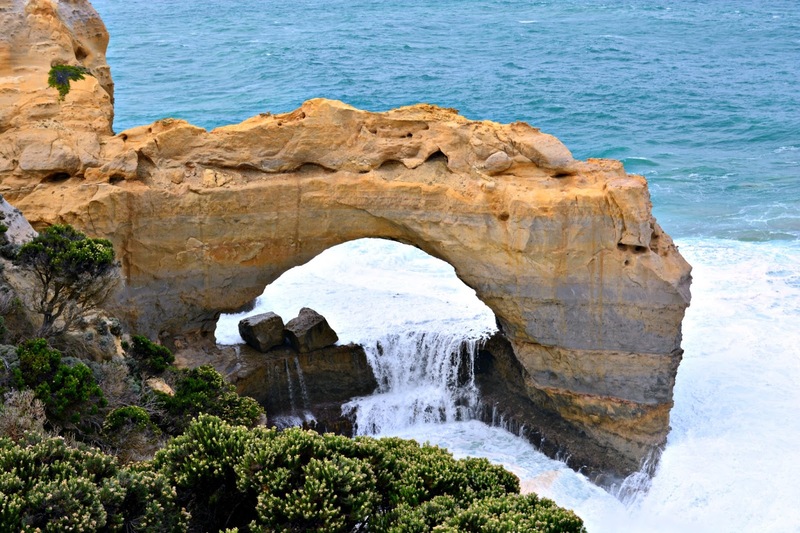 No trip to the Great Ocean Road would be complete without taking a picture in front of the iconic arch. I've actually only ever stopped here as a 'jump out real quick and take a photo' stop, but there is a lovely hike that starts at the Arch. It takes you along a good portion of the Great Ocean Road. So if you're extremely fit or just love a good scenic walk, this is definitely the starting point for you! This is my favourite place to end the day for a couple of reasons. First, even if you don't surf, there are usually heaps of surfers to watch. By the time you reach this point in the trip, it will more than likely be the late afternoon or early morning (typically the best times to surf). 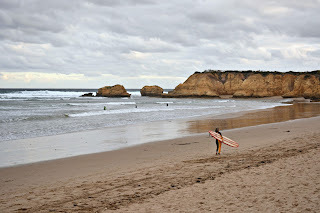 Second, if you enjoy surfing, this is an iconic surf beach. Every year the Australian Surf Open is held at Bells Beach. It's actually one of my favourites. Third, if you're into wild animals, there are always wild kangaroos in the fields at dusk. You get an amazing end to the trip finishing off at Bells Beach. While this list may seem quite extensive, it is 100% doable as long as you leave early in the morning. The greatest part is that this list can be modified to fit your travel needs. If you're only making a day trip, either pack a picnic lunch, or you can find some quick, good food in Apollo Bay or Lorne. If you decided to extend your trip an extra day, Apollo Bay normally has plenty of accommodation. If you're travelling during summer holidays, be sure to book in advance as even the campgrounds sell out. Curious about other day trips? Be sure to read Great Sights Around Melbourne. 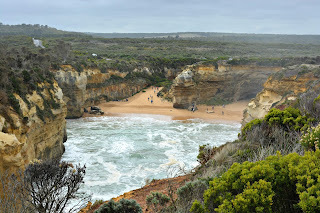 Did I miss any must-see sites when taking a day trip on the Great Ocean Road? Let me know about your favourite sights in the comments! These seem like the most beautiful places!! I would love to see them all ecspecially The Arch and London Bridge! Maybe one day I will be able to!! Thank you for a beautiful post!! I think the Arch may be one of my new favourite places on the Great Ocean Road. Glad you enjoyed the post! Thank you so much! There are so many British named places here in OZ (probably due to it being an old British colony) but I feel like most the time I forget that. 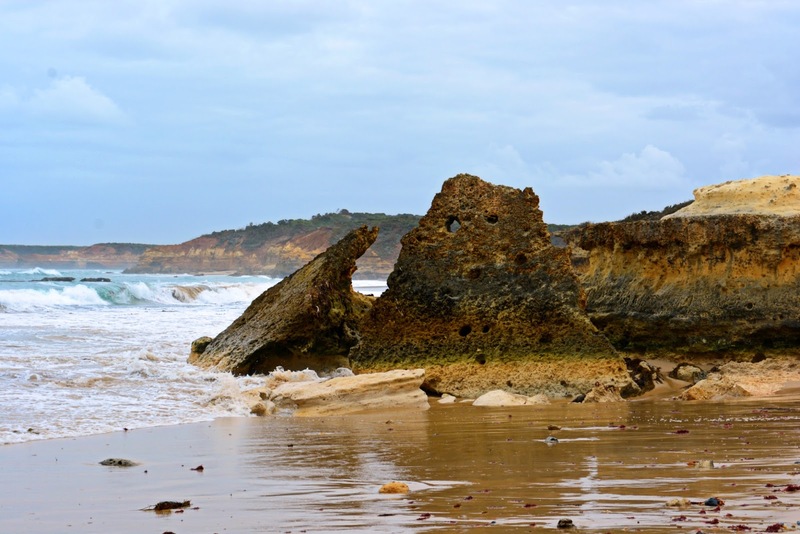 The Great Ocean Road looks amazing! Thanks for all of the information about these sites. I would love to see the Ghotto and the Arch. 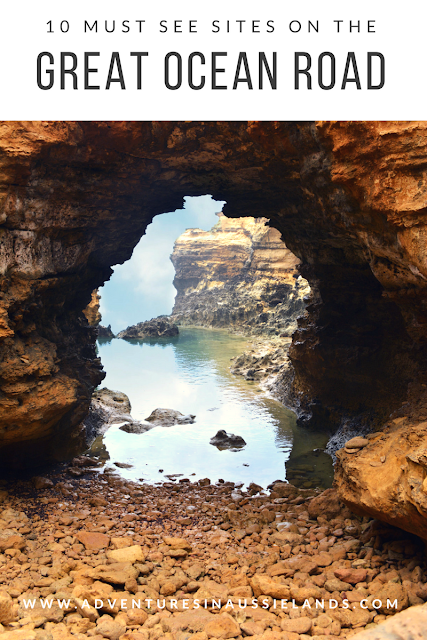 I have always been fascinated by the art of natural land formations. Thanks heaps! 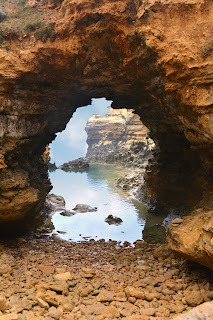 The Grotto and the Arch are definitely two of my favourites on the Great Ocean Road. Wow! These pictures are gorgeous! 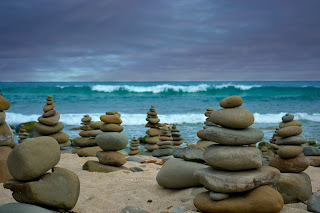 I've never been a big fan of beaches, but your pictures really make me want to travel there. Plus I would love to see a koala. I've never seen one in person but they look adorable! So many gorgeous places, serious wonderlust right now! Great place to go and travel and the Ocean looks gorgeous! !